More than half the people with Turkish and Moroccan backgrounds in the Netherlands say they would consider leaving the country due to the growing popularity of anti-Islam politician Geert Wilders. A third say they would definitely like to emigrate, according to a survey published on Monday. The current affairs TV-programme Netwerk commissioned the survey in response to the success of Wilders' populist Party for Freedom (PVV) in the recent European parliamentary elections. Research bureau Motivaction interviewed 319 Turkish and Moroccan people asking them about their feelings about the Netherlands in general and Wilders in particular. A large majority (70 percent) of Dutch Muslims have either Turkish or Moroccan roots. Bottom line in this poll on feelings? Aside from feeling like heading back to Dar al-islam (land of Islam), most Muslims in Holland feel "less comfortable" (57 percent) due to Wilders' success, and nearly 75 percent said " they thought Wilders had intensified negative feelings towards Musims among the Dutch public." "Fear of litigation alone cannot justify an employer's reliance on race to the detriment of individuals who passed the examinations and qualified for promotions," Justice Anthony Kennedy said in his opinion for the court. He was joined by Chief Justice John Roberts and Justices Samuel Alito, Antonin Scalia and Clarence Thomas. "Role of Women in Iran Protest Kindles Hope"...OF WHAT? 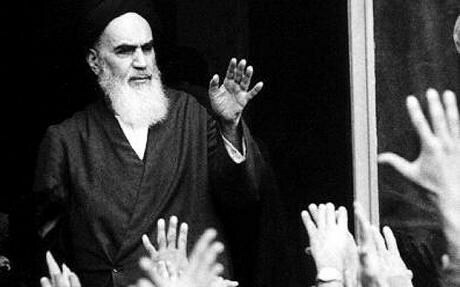 "Their Jail Is Islam, and Changing the Warden from One Thug to Another Won't Set Them Free"
This week's column examines the Green Pundit Rush to Judgment that "the Persian street" is filled with Our Kind of People: anti-Khomeini, anti-sharia, anti-Islamic Revolution, anti-regime, anti-nuke, pro-West, pro-Israel, pro-secular masses yearning to "free"-- in the specifically Western sense, which emphasizes the rights and will of the individual, and nothing to do with the Islamic sense, which speaks to a "perfect enslavement" to Allah. 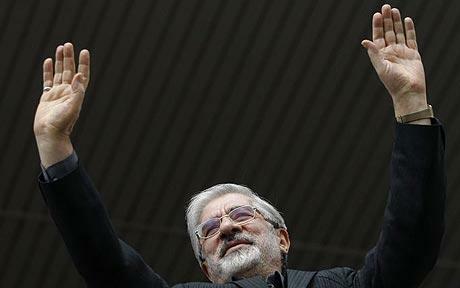 This would necessarily mean that most of the protestors do not support the opposition candidate Mousavi, who, having spent his early political career advancing jihad against the West (US), has made his current intentions to restore Iran to "the pure principles of the Islamic Revolution" quite clear. In a riff off "The Spirit of '79," Andrew Bostom points out for anyone still wondering that the protestors in Tehran are actually saying "Allahu Akbar," not -- as those who see a secularist behind every headscarf seem to think -- "I Want a Clark Bar." Below is the text of statement attributed to Mousavi. I have seen it reproduced or referenced at blogs of The Atlantic, The Guardian, Michael Ledeen's Pajamas Media blog and elsewhere, but no Old Media. ** There doesn't seem to be any way to verify its provenance for sure, but it merits consideration as very possibly the Real McCoy. I have posted it below in its entirety to allow readers to see for themselves what is apparently Mousavi's reverence for and devotion to the 1979 Islamic revolution that brought Ayatollah Khomeini to power, ultimately turning Iran into a sharia-guided, jihadist sponsor of global terror. If this statement is for real, it tells us (again) that Mousavi isn't about to take Iran into the future; he's all about turning the clock back to 1979--as he puts it, "to the Islamic revolution as it was." **UPDATE: I have since found a June 20 Reuters story datelined Tehran that quotes from this Mousavi speech, sourcing it to Mousavi's website--I'm guessing Kalameh, a Farsi language news portal linked at the bottom of this post. It wasn't the imprimatur of Old Media I was after; just some credible attribution to anchor the online appearance of the text itself. I'm satisfied it's his words. Does Mousavi Want to "Wipe Israel off the Map"? Went to Mousavi's website and found this under "Policies" : "An effective foreign policy agenda that enhances the county's [sic] world image is undoubtedly in the best interests of the people." 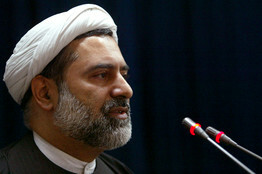 Photo: The WSJ calls him "Iranian reformist clergyman" Mohsen Kadivar. It isn't always that the words Allahu Akbar sound this sweet to Western ears. It's a muggy Friday afternoon and I'm standing curbside right outside Iran's Permanent Mission to the U.N. in New York City. Preaching in Farsi is a turbaned Shiite imam named Mohsen Kadivar. 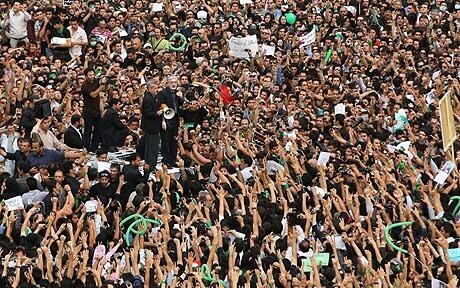 Hours earlier, in Tehran, Supreme Leader Ali Khamenei had delivered a bullying sermon at Tehran University, warning the opposition that they would be "responsible for bloodshed and chaos" if they continued to march. Mr. Kadivar's sermon -- punctuated by the Allahu Akbars of 20 or so kneeling worshippers -- is intended as a direct riposte. 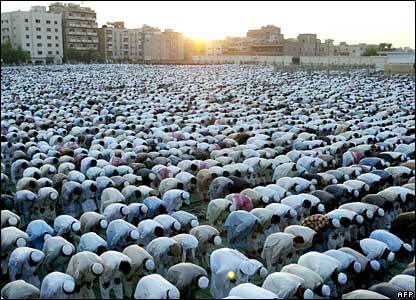 Allahu Akbar has also become the rallying cry of the demonstrators in Iran. In a New York Daily News op-ed, Fred Gedrich reports something shocking that I am sure most Americans do not know: The State Department, from Bush to Obama, has never designated the Taliban a Foreign Terrorist Organization (FTO). Given that the Taliban is foreign, terrorist and an organization, what gives? Neither the Bush nor Obama administrations has articulated the reasons for failing to designate the Taliban as an FTO, and congressional overseers haven't publicly asked them why. The most reasonable assumption is that administration officials were hopeful that nonlisting would eventually facilitate rapprochement with "reconcilable" Taliban elements. Iran's Protests: "Not Meant to Be Anti-Islamic"
Today's NYT carries an observation that should give us further pause before assuming the Iranian protest movement is a movement of "freedom fighters." UC Irvine's Roxanne Varzi, described as a cultural anthropologist "who has studied the way the [Iranian] government spreads its ideology," says, as the paper puts it, "The strength of the protests is that they have remained within religion." That would be Islam, natch. It is her view that "the opposition movement adopted the whole Islamic discourse." 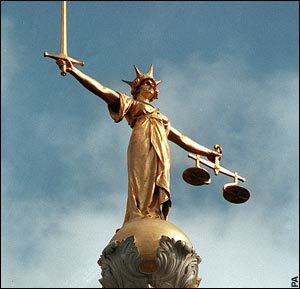 She says: "It is not meant to something anti-Islamic, even for those who are secular in their practices. Because they have kept inside that structure, it is hard for the government to justify clamping down on them." Today's lead Page One article in the Washington Post -- three columns wide down the top middle -- is headlined "A Personal Touch in Taliban Fight." It features two photographs of US Army Capt. Michael Harrison, described in the headline as "a company commander [who] strives to gain the trust of frustrated villagers." Besides the main picture of the captain with a villager, which is available online, there is a secondary picture, which is not available online. Maybe that's because it was taken by the writer of the piece, Greg Jaffe, and not a Post photographer; I don't know. This smaller photo shows the American officer, on duty, in a war zone, dressed in a sky-blue salwar-kameeze, the native Afghan dress US soldiers refer to as "manjammies." The caption reads: "Harrison, dressed in a salwar-kameez to seem less like a foreigner, talks with an Afghan family after meeting with villagers." 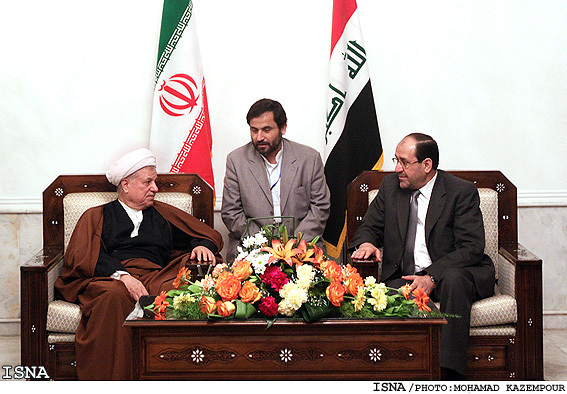 Photo: Iran's Rafsanjani (Mousavi's mullah) with Iraq's Maliki, March 2009. BAGHDAD, June 20 (Xinhua) -- Iraqi Prime Minister Nuri al-Maliki said Saturday that the U.S. troops' withdrawal from Iraqi cities and towns by the end of this month would be a "great victory" for Iraqis. "It is a great victory for Iraqis as we are going to take our first step toward ending the foreign presence in Iraq," Maliki said during a conference in Baghdad for leaders of ethnic Turkmen minority. So, Maliki is claiming a "great victory" in "ending the foreign presence in Iraq" as US troops withdraw from Iraqi cities. "Ingrate" doesn't begin to describe this creep -- or, as Bush loyalists still prate, "our ally." On Sunday, June 14, I joined (from L to R) Ann Fishman of the Liberty Legal Project, Wafa Sultan, author of the upcoming "A God Who Hates," Mrutyuanjai Mishra of the Danish Free Press Society, and Dutch parliamentarian Geert Wilders in the Danish parliament for a daylong conference sponsored by the Danish Free Press Society on "Free Speech and Islam." "Columns like Diana West’s don’t belong in the newspaper"
"Newspaper needs more columns like Diana West’s"
One more thing: I appreciate the Cumberland Times-News in Western Maryland for publishing both sides of this burning question! No column this week, folks. Back next weekish. Is Petraeus an Islamic Tool? Photo of Hezbollah: Petraeus thinks they have "justifications"
One additional point: the pathetic acknowledgment of the attack that finally came out of the White House on Wednesday afternoon was only released to Arkansas media in response to their requests for a statement. I have never heard of a state-specific statement like that. Guess the White House didn't want anyone outside Arkansas (as in Cairo) to find out about it? 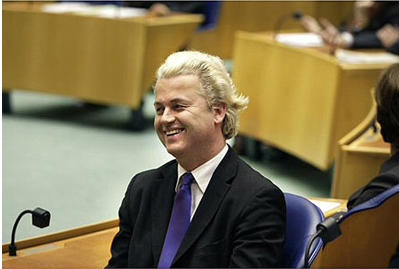 the Freedom Party PVV of Dutch opposition leader Geert Wilders has won at least 4, maybe even 5, of the 25 Dutch MEP seats in the first European elections in which the PVV has ever participated. The party, founded by Mr Wilders two years ago, became the second largest party in the Netherlands, after the governing Christian-Democrat CDA of Prime Minister Jan-Peter Balkenende, which wins 5 seats. In studying the Dutch electoral map, Paul also observes that the results reveal that "the PVV appeals to the whole spectrum of the Dutch indigenous population, from the right to the left, with its program against the Islamization of Europe, its outspoken support for Israel, and against the transformation of the European Union into a European superstate." GREAT news on the first day of European elections. In PVV's very first run for European Parliament, the anti-immigration, anti-EU party of Geert Wilders is running huge--so far looking as if it will have started out on Election Day with zero seats and ended up with four of the Netherlands' 25 seats--the second largest bloc of Dutch seats. "Should Turkey as an Islamic country be able to join the European Union? We are the only party in Holland that says, it is an Islamic country, so no, not in 10 years, not in a million years," he said. The clarity. The forthrightness. 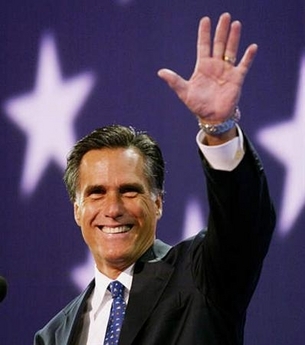 If I hadn't already said goodbye to Mitt, I would urge him to take copious notes. Never seen anything quite like this: an American president on a receiving line with his hand hanging out...unshaken. The power attraction here is the Saudi King. So, we'll bring the sparklers, they'll bring the centrifuge....? Sounds like, er, fun. (Insert raucous peals of inappropriate Hillary laughter here.) Meanwhile, in a distinctly less congenial frame of mind, Obama is telling the Israelis not to have any more babies. If Nero got a bad rap just for fiddling while Rome burned, what will happen to the Obamas for jetting off to "date night" in the Big Apple amidst economic gloom, just as once-mighty GM was preparing to file for bankruptcy and lay off some 21,000 workers? Nothing. The media, the political elites see nothing even the slightest bit amiss, let alone unseemly, about the Obamas taking three planes, some helicopters and a motorcade -- courtesy the US taxpayer -- to get them to dinner and a show in NYC because the prez "promised" this to Michelle during the campaign for "when it was all over." Well, just because the man was elected doesn't mean "it's all over." Indeed, the hard presidential work has hardly begun. Meanwhile, flitting off to a night on the town in NYC is a thing of Boom, not Bust times, no? It was left to the RNC to wonder what was wrong with the presidential box at the Kennedy Center if the Prez and First Lady wanted a night out -- not (never) the media.